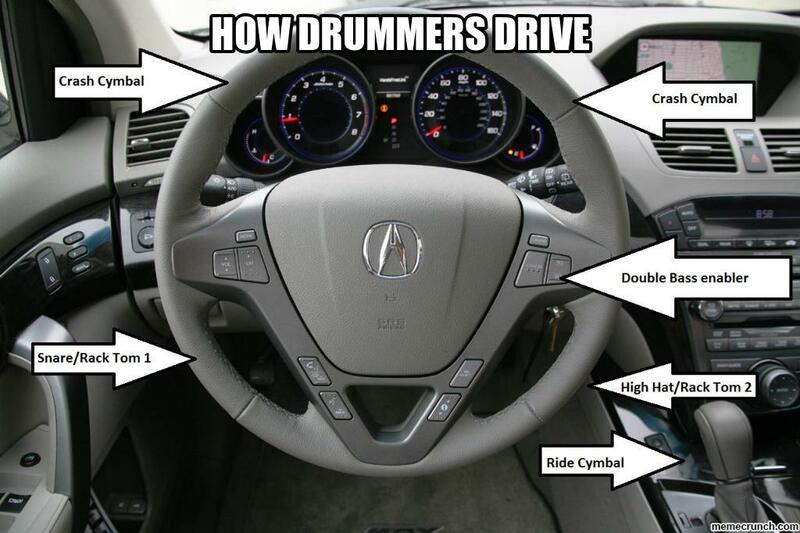 Drummers are a special breed. They’re idiosyncratic. They’re fun. And they need a unique type of TLC to keep them happy. I’ve compiled a checklist for you fabulous females out there who may need a little help in properly caring for your drummer. You must remind him to cut his nails once in awhile. You must remind him to shower, trim his beard, and brush his teeth. You must not get angry when his fingers tap EVERY FRIGGIN SURFACE IN THE ENTIRE WORLD in a rhythmic manner. You must accept the fact that he likes to show off every now and then. You must realize that drum sticks are to him, what hair ties are to you = they are strewn about EVERYWHERE, yet you always somehow run out. You must not get angry at how many T-shirts he owns. Even though he never wears half of them. And the other half are permanently stained with beer, sweat, food, and possibly vomit. You must accept the fact that you are not more important than band practice. You must realize that when you go to a show or concert, he will not pay attention to you. You must realize that going to Sam Ash or Guitar Center “just for 2 secs” means you will be wandering the store for 2 hours while he tests out cymbals, sticks, and other things he doesn’t really need, and probably can’t afford. You must know that if you go see him play, and he thinks he messed up, nothing you say will comfort him. It’s just like when you feel fat, but nothing he says can help you. You must not get angry when he drinks beer in his underwear. But most importantly, you must accept that however annoying and frustrating your drummer is, he’s just so dang irresistible. This entry was posted in Love, Reality and tagged drummers, relationships. Bookmark the permalink.